For the record, I don’t really like using the term Obamacare. I think that it is a loaded term that was coined more as a pejorative than as an honest short-hand descriptor for the Affordable Care Act. However, given that the term has seemingly become the de facto term for the Affordable Care Act and given the public confusion over the terms, I have reluctantly been using the term Obamacare with greater frequency. The Affordable Care Act is one of the most insidious laws devised. That is because it is built around a series of lies, which are now being exposed. Lies such as Americans can keep the health care they have, and that the law would make health care more affordable. Hospital systems like Indiana University Health have cut employees and hours due to changes forced upon the system by ObamaCare. Lafayette School Corporation, Hancock and Benton County Schools cut their part-time employees to a max of 29 hours per week. Morgan, Clay, DeKalb, Floyd, and Marshall Counties schools cut their part-time employees to 28 hours per week. Indiana University, and Ivy Tech Community College, our statewide community college system, capped part-time hours at 29. At Ivy Tech, this includes part-time instructors classroom hours, limiting the access to instructors for some of our students that need it the most. UPS, one of Indiana’s biggest employers, cut insurance for 15,000 spouses. Larry Cooley in Wheatfield, Indiana reports his 2014 insurance package through Medicare Advantage saw a premium jump 86% and a deductible increase by $500.00. His prescription costs jumped 25% too and he lost coverage on several drugs. Real people like Angie May, who operates a small family farm with her husband in Indiana. Their premiums jumped 280% from $325 per month in 2012 to $906 per month beginning in 2014. In so many cases, Americans are not able to stay on the plan that they liked, despite the President’s promise. ObamaCare is forcing millions of Americans on to government run health plans, and therefore putting the government in charge of our health care decisions. Most importantly, as Harry Reid and other Democrats have said, the real goal is to get to a “single payer” system where only the government pays for health care. When only the federal government pays for health insurance, only the federal government will get to decide what care you receive. Over the next 10 years, ObamaCare will spend $1.9 trillion that we do not have. By the end of the decade, ObamaCare spending will exceed $200 billion annually. Already every child born today inherits over $55,000 in debt, and according to the Congressional Budget Office, federal spending on major health care programs is projected to increase significantly as a share of the economy in coming decades. In 2013, federal spending on health programs will amount to 4.6 percent of gross domestic product (GDP) – by 2038, thanks to ObamaCare, federal spending is projected to rise to 8 percent of GDP. Note: It appears that Rep. Rokita sourced his definition of the word “insidious” from Dictionary.com. Perhaps because he is a member of Congress he is of the belief that he can simply copy material from another source without attribution. Hmm. If Obamacare was to blame, don’t you think that Terwilliger might have mentioned that or that the reporter for the Indianapolis Business Journal might have done so? US News & World Report also looked at the broader claim that Obamacare was causing hospitals to cut jobs. Cleveland Clinic officials announced this week that they would be offering 3,000 buyouts in an effort to cuts costs, citing financial pressures from health care reform as one of the reasons for their decision. More than a dozen hospitals across the country are taking similar measures, due in part to health care reform requirements, but also because of the $9.9 billion in government sequester cuts to Medicare, hospital debt and states’ refusal to expand Medicaid, the government’s health insurance program for the poor. “For hospitals in general this is kind of the new normal,” says Eileen Sheil, executive director of corporate communications for the Cleveland Clinic. According to most recent estimates from the Bureau of Labor Statistics, the hospital sector lost about 4,400 jobs in July. In May, hospitals shed 9,000 jobs, the worst month for the industry in a decade. Ron Stiver, senior vice president of engagement and public affairs for Indiana University Health, which plans to cut 800 employees, says the assertion that health care reform is the reason behind hospital cuts is “overly simplified.” IU Health is making cuts partially because of the health law, he says, but also because the state has not expanded Medicaid, the hospital system has fewer inpatient volumes, and payment rates for its services have been declining. Vanderbilt University Medical Center in Nashville, Tenn., plans to cut 1,000 positions, citing an aging population, lower reimbursement rates, a reduction in National Institutes of Health grant funding and a lack of Medicaid expansion in Tennessee. In 2012 the Supreme Court ruled that state legislatures could opt out of increasing the number of people who are eligible for Medicaid, and North Carolina is one of 22 states that has done so, a decision that resulted in Vidant Pungo Hospital in Belhaven, N.C., closing down, according to hospital officials. The Office of the Actuary for the Centers for Medicare & Medicaid Services predicted that decreases like these would occur, stating in a 2010 memo that by 2019 it expected hospitals, skilled nursing facilities and home health agencies would undergo a 15 percent reduction. For a sector that employs more than 5.5 million people, according to the American Hospital Association, the numbers are likely to get worse. The pattern of layoffs and buyouts has already begun. SouthCoast Hospital Group in Florida cited federal health reform when it laid off 100 employees in mid-September. John Muir Health in California is offering staff voluntary buyouts. NorthShore University HealthSystem in Illinois will lay off 1 percent of its workforce, and Covenant Health in Texas laid off 49 employees. The requirements that hospitals must meet in order to receive full Medicare reimbursements are having a large impact. Hospitals once were able to bill insurance companies and the federal government for services rendered, but now they have to demonstrate that those services help keep patients healthy. Hospitals with excessive numbers of readmissions for Medicare patients will face large penalties, and hospitals that serve the poor will be particularly vulnerable. Still, hospitals are not responsible for a significant amount of the recidivism they see, according to research published in 2011 by the University of Toronto, which revealed that only a quarter of hospital readmissions were preventable. Sheil said hospitals will be getting paid less and still have to do more. “Nobody is immune to that, not even Cleveland Clinic,” she says. The news appeared to be particularly devastating to a hospital system that President Barack Obama applauded only four years before for delivering exceptional care at costs well below the national norm. Still, Cleveland Clinic officials were attributing its most-recent cuts to a number of factors, and pointed out that it was continuously developing ways to be more efficient. “There are many factors, and any one isn't going to tip us over,” Sheil says. I will acknowledge that in the US News & World Report article, an official from Indiana University Health does blame “health care reform” in part (he doesn’t identify either Obamacare or the Affordable Care Act by name…) but he also blames the State of Indiana for refusing to expand Medicaid, fewer inpatients, and declining payment rates. He says that blaming “health care reform” is “overly simplified”. But not to Rep. Rokita who ignores everything else to blame Obamacare for the layoffs. 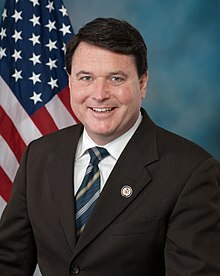 So, what do you think now about Rep. Rokita’s claim that “Hospital systems like Indiana University Health have cut employees and hours due to changes forced upon the system by ObamaCare.” Is that an example of the “insidious” nature of Obamacare … or an insidious exaggeration (or outright lie) by Rep. Rokita? Next, let’s take a look at another one of Rep. Rokita’s claims. But Cruz ignores that the only spouses being kicked off the UPS plan would be the ones who already had access to an employer-sponsored plan in their own job. This means they wouldn’t be “without health insurance” and wouldn’t have to find coverage on an Obamacare marketplace. We rate the claim False. Rep. Rokita didn’t repeat Sen. Cruz’s false claim in its entirety, but he did omit a critical limiting element. So which is “insidious”? A plan to extend healthcare to millions of uninsured or a lie designed to frighten people into thinking that Obamacare was forcing people to become uninsured? Rep. Rokita also describes the “countless letters and emails from constituents who’ve had their insurance premiums and deductibles jump” and then he proceeds to identify … two. I know that Rep. Rokita may not be a rocket scientist, but I would have presumed that “countless” would be a number higher than two. * In any event, I’m not going to attempt to fisk this sort of claim; I have no idea what letters and emails he has and hasn’t received; I have no idea if the stories he relays are accurate or if those relaying the stories have their facts straight in the first place; and I have no idea how many other constituents may have encountered completely different results. [F]or claims about deficits, we consider the Congressional Budget Office, often called the CBO, to be the standard by which we fact-check claims. The CBO said this about the health care law back in 2010: It lowers the deficit, by about $124 billion over 10 years. And in 2011, when Republicans offered a bill to repeal the health care law, the CBO said that increased the deficit, by about $210 billion over 10 years. In any event, what you need to remember is that Rep. Rokita used the issues of school layoffs, premium increases, and the debt as an explanation for why Obamacare is “insidious”. The issue isn’t whether Obamacare is a good law or a law that should be repealed, tweaked, or fully implemented. The issue raised by Rep. Rokita is whether Obamacare is “one of the most insidious laws known to man”. Rep. Rokita claims (without citation) that Obamacare will $200 billion annually. Maybe yes, maybe no. I don’t have any idea. But you can’t simply divorce the cost of the program from what that money will be paying for. Obamacare gives states the option to expand their Medicaid rolls (thus offering healthcare to more of those who live in poverty) and the federal government will pay all of that cost for a few years before transferring ten percent of the cost to the states. Is that expensive? Absolutely. But the question is not just cost; the question is whether we the people think that spending that money for the purpose of providing healthcare to the poor is a good expenditure. Similarly, Obamacare will provide subsidies to assist families who are required to purchase insurance. Once again, that is also expensive. But once again, the question is not just the cost; we also have to look at the social benefit of having more people insured. Finally, Rep. Rokita’s discussion of the cost omits any discussion of savings or of increased job creation and the resulting tax revenue. If Obamacare is “insidious” because it is expensive, then I suppose that Social Security, Medicare, the CIA, and Pentagon are also “insidious” — at least by Rep. Rokita’s formulation. These are all important issues to discuss. And they were discussed when the law was passed. They were discussed in town hall meetings across the country. They were litigated in the 2010 mid-term elections. And, most importantly, they were critical issues in the 2012 presidential elections. And you know what? President Obama ran on Obamacare and he won. By contrast, Mitt Romney ran on a platform that included the repeal of Obamacare and he lost. It’s also worth noting that while Republicans do have a majority in the House of Representatives, they did not win a majority of the votes cast for the House of Representatives. In fact, they lost by about 1,700,000 votes (about 1.9%), but because of gerrymandering Republicans have a majority in the House. Anyway, Rep. Rokita wants us to think that these cost claims make the law “insidious”. The line stuck. By the time the health care bill was headed toward passage in early 2010, Obama and congressional Democrats had sanded down their program, dropping the “public option” concept that was derided as too much government intrusion. The law passed in March, with new regulations, but no government-run plan. But as Republicans smelled serious opportunity in the midterm elections, they didn’t let facts get in the way of a great punchline. And few in the press challenged their frequent assertion that under Obama, the government was going to take over the health care industry. By selecting “government takeover” as Lie of the Year, PolitiFact is not making a judgment on whether the health care law is good policy. • Contrary to the claim, more people will get private health coverage. The law sets up “exchanges” where private insurers will compete to provide coverage to people who don’t have it. It’s true that the law does significantly increase government regulation of health insurers. But it is, at its heart, a system that relies on private companies and the free market. Republicans who maintain the Democratic plan is a government takeover say that characterization is justified because the plan increases federal regulation and will require Americans to buy health insurance. But while those provisions are real, the majority of Americans will continue to get coverage from private insurers. And it will bring new business for the insurance industry: People who don’t currently have coverage will get it, for the most part, from private insurance companies. Consider some analogies about strict government regulation. The Federal Aviation Administration imposes detailed rules on airlines. State laws require drivers to have car insurance. Regulators tell electric utilities what they can charge. Yet that heavy regulation is not described as a government takeover. This year, PolitiFact analyzed five claims of a “government takeover of health care.” Three were rated Pants on Fire, two were rated False. Other news organizations have also said the claim is false. Analysts say health care reform is such a complicated topic that it often cannot be summarized in snappy talking points. If you followed the health care debate or the midterm election — even casually — it’s likely you heard “government takeover” many times. • The phrase appears more than 90 times on Boehner’s website, GOPLeader.gov. • The Republican National Committee’s website mentions a government takeover of health care more than 200 times. Conservative groups and tea party organizations joined the chorus. It was used by FreedomWorks, the Heritage Foundation and the Cato Institute. The phrase proliferated in the media even after Democrats dropped the public option. In 2010 alone, “government takeover” was mentioned 28 times in the Washington Post, 77 times in Politico and 79 times on CNN. A review of TV transcripts showed “government takeover” was primarily used as a catchy sound bite, not for discussions of policy details. In most transcripts we examined, Republican leaders used the phrase without being challenged by interviewers. For example, during Boehner’s Jan. 31 appearance on Meet the Press, Boehner said it five times. But not once was he challenged about it. In rare cases when the point was questioned, the GOP leader would recite various regulations found in the bill and insist that they constituted a takeover. But such followups were rare. Politicians and officials in the health care industry have been warning about a “government takeover” for decades. The phrase became widely used in the early 1990s when President Bill Clinton was trying to pass health care legislation. Then, as today, Democrats tried to debunk the popular Republican refrain. When Obama proposed his health plan in the spring of 2009, Luntz, a Republican strategist famous for his research on effective phrases, met with focus groups to determine which messages would work best for the Republicans. He did not respond to calls and e-mails from PolitiFact asking him to discuss the phrase. The 28-page memo he wrote after those sessions, “The Language of Healthcare 2009,” provides a rare glimpse into the art of finding words and phrases that strike a responsive chord with voters. Democrats tried to combat the barrage of charges about a government takeover. The White House and House Speaker Nancy Pelosi repeatedly put out statements, but they were drowned out by a disciplined GOP that used the phrase over and over. Democrats could never agree on their own phrases and were all over the map in their responses, said Howard Dean, former head of the Democratic National Committee. “It was uncoordinated. Everyone had their own idea,” Dean said in an interview with PolitiFact. Exit polls showed the economy was the top issue for voters in the November election, but analysts said the drumbeat about the “government takeover” during the campaign helped cement the advantage for the Republicans. Rep. Earl Blumenauer, an Oregon Democrat whose provision for Medicare end-of-life care was distorted into the charge of “death panels” (last year's Lie of the Year), said the Republicans’ success with the phrase was a matter of repetition. So did you get all that? More importantly, do you see what Rep. Rokita has done? In order to defend his use of the word “insidious” — a word that he defines as meaning “stealthily treacherous or deceitful” — and to support his claim that Obamacare is “built around a series of lies” — he repeats a 3-year-old lie. And not just any lie. Nope. That wouldn’t be good enough. He repeats the lie of the year in order to prove that something else is built on a lie. Still want to talk about things that are insidious? And it probably goes without saying, but Rep. Rokita focuses only on the cost and perceived downsides of Obamacare to argue that it is insidious. Did you see anything in his statement recognizing that it prohibits insurance companies to deny coverage for pre-existing conditions, prohibits lifetime caps on coverage, prohibits cancellation of coverage when a person becomes ill, permits children to stay on their parent’s plan until 26, requires insurers to give rebates if they overcharge or don’t expend earned premiums to treat those they insure, requires certain preventive care to be included in plans without the payment of an associated deductible, and many other benefits? You see, Rep. Rokita can’t possibly argue that any of those aspects of Obamacare are insidious, especially because he knows that people like those parts of the law (even those who claim to “hate” Obamacare seem to like the things that the law actually does) and because he knows that despite the Republicans’ grandstanding votes to repeal Obamacare 40 or more times, the Republicans have not offered a real plan to replace Obamacare and provide these patient and consumer protections. Rep. Rokita may claim that the law is insidious, but he can only do so by ignoring all of the good that it is intended to do. One final point. Yes, many Democrats would like a “single payer” system of healthcare. But single payer doesn’t, as Rep. Rokita suggests, mean that “only the government pays for health care”; rather it means that the government pays for healthcare but that doesn’t prohibit individuals from paying additional premiums for supplemental care. In other words, a “single payer” system is essentially the same as Medicare, but for everyone instead of just the elderly. But to Rep. Rokita, adopting an intermediate, market-run plan while still hoping to eventually adopt a more far-reaching plan is insidious. No, Rep. Rokita. The Fugitive Slave Act was insidious. The Nuremberg Laws were insidious. Jim Crow, Apartheid, and similar laws were insidious. But Obamacare, while it may be controversial and may be expensive, is not insidious. On the other hand, the use of half-truths and blatant lies (including a previous “lie of the year”) to support your argument … now that is insidious. Rep. Rokita: Your words have brought shame upon yourself and upon the state and constituents you represent. *Of course I could be wrong here. After all, then-Secretary of State Rokita testified to a Federal Court that he was unaware of any incidents of in person voter fraud in Indiana but then later testified to Congress that in person voter fraud “does exist” and that it’s “happening in Indiana”. So maybe he does have difficulty counting to numbers higher than zero. Human rights include civil AS WELL AS political rights, such as correct for you to life, liberty AND ALSO freedom of expression; AND social, social IN ADDITION TO economic rights like your current suitable to participate with culture, your correct in order to food, as well as the suitable in order to operate ALONG WITH get a good education. Human rights are usually secure AS WELL AS Human right upheld by international IN ADDITION TO national laws ALONG WITH treaties.